We like to stay in and cook on Valentine’s Day. After working in the restaurant industry for so long and feeling first hand the craziness that takes place between the hours of 7pm and 10pm, I’d rather just make a reservation for another night and keep Valentine’s Day quiet and low-key. Oh and guess what! This year, Adam announced that he is cooking me a five course dinner. I’m baking vegan sugar cookies for a family event at the yoga studio and then can’t wait to see what he has up his sleeve. Just in case you, too, like to stay in on Valentine’s Day I’ve got ya covered! Homemade pasta might seem daunting, but I promise it’s not too terribly difficult. Sure, it helps to have a pasta maker but you can use a rolling pin in a pinch (that’s what I did!). And what makes this ravioli so special—and red—is the addition of roasted beets. Just roast some beets then puree them in either a blender or food processor and add them to your basic pasta dough. The filling is a creamy blend of ricotta, goat cheese and Parmesan, and you can serve these guys with whatever sauce strikes your fancy. Personally, I think they’re best simply drizzled with a little brown butter and sprinkled with more Parmesan! ‘Cause what says “I love you” more than a bouquet of pretty red beets? Cheesy delicious pasta made with that bouquet of beets….that’s what. Preheat oven to 400 degrees. 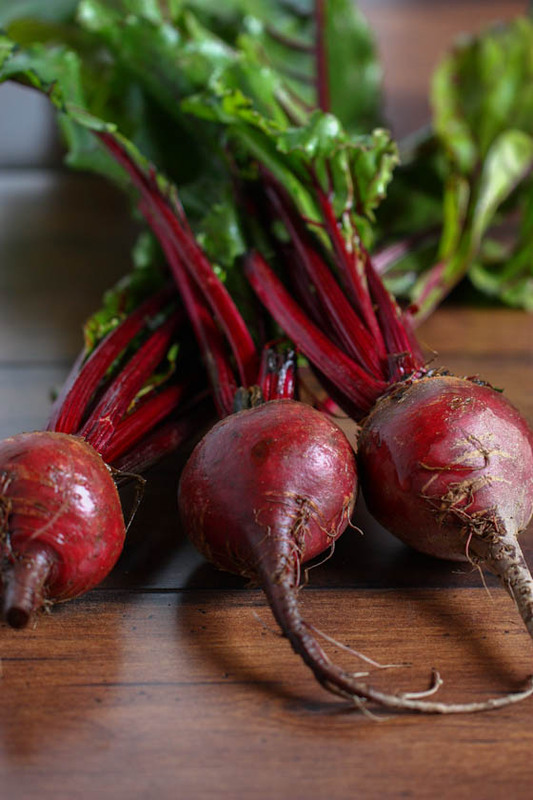 Chop off the beet greens and roots from beets. Wrap beets loosely in tin foil and roast for 45 minutes to an hour until tender. After roasting, you’ll be able to easily peel the beets (the peel will just slip off). Place beets in a food processor or high-speed blender and process until smooth. Note that the beets will probably still be a little chunky here, and that’s okay. Just process them as much as you can so you have a smooth pasta dough. Mix in the eggs and continue to process. Then, add the flour, salt and olive oil—mixing until a dough forms. I transferred my beet mixture to my Kitchen Aid mixer for this part, but you could also just knead on the table or mix well with a wooden spoon. Now, bring a large pot of salted water to a boil and prepare the filling. Mix together all filling ingredients and beat until smooth. Set aside. It really is easiest to use a pasta maker (or ravioli cutter!) 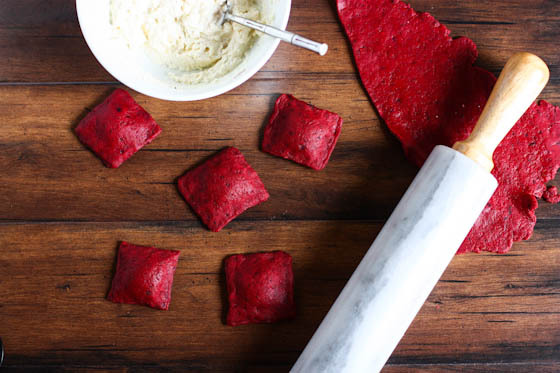 to roll out the beet ravioli dough. However, you can also use a rolling pin. Just be sure to roll the dough very, very, very thin. It should almost be see-through! Thick dough leads to dense, stone-like ravioli…and no one wants that. Once your dough is rolled out thinly, cut or stamp four inch squares of dough. Place a teaspoon of cheese filling in the center of one of the squares then top with another thin square. Seal edges together with fingers. Drop ravioli in boiling water and cook for only about four minutes. When they float, they’re done! Drain and serve immediately. **My favorite way to eat these ravioli is with a little drizzle of browned butter and a sprinkle of Parmesan cheese. yum! I love staying in on ‘big event’ nights and then saving the money and momentum to go out some other time. This year Im determined to do that even on New Years!! I’m also pretty obsessed with beets right now! They clearly do amazing things to the pasta – I just wish they didn’t do the same to my kitchen! Awesomeness! Would never think of this! I LOVE those, such a vibrant red! I may have to try this next time I make my pasta!! I just love the colour of these ravioli and the filling is one of my favourite ever ravioli fillings. I hope you enjoy a fantastic meal tomorrow night! So pretty! I’ve been wanting to invest in the KitchenAid pasta attachment, but can’t bring myself to do it. Rolling pin it is! Too cute that your man is making you dinner!! We better get a full recap 😀 And these raviolis looks delicious! The perfect V-Day dinner! That color is amazing…. definitely perfect for Valentine’s Day! I was never a big beet fan as a kid, but the color is gorgeous!! I love this pasta… The color is so gorgeous. And with deliciousness inside… Yum! Heyy, they look so nice. I’m kind of obsessed with beets these days, so this is a FABULOUS post. These are so pretty, too! Beets ! I love beets so much, This is brilliant ! I love beets and I bet this is wonderful, and we’re also staying in. Between the craziness of the restaurants on big nights like Valentine’s Day and the fact that the food is usually just so-so on big nights, we’re happily staying in, too. Happy Valentine’s Day…this looks awesome! this is beautiful, jenna! if i had any confidence in my pasta making abilities, i would for sure give this a try. have a great valentine’s day! I’ve always wanted to use beets to turn something red. 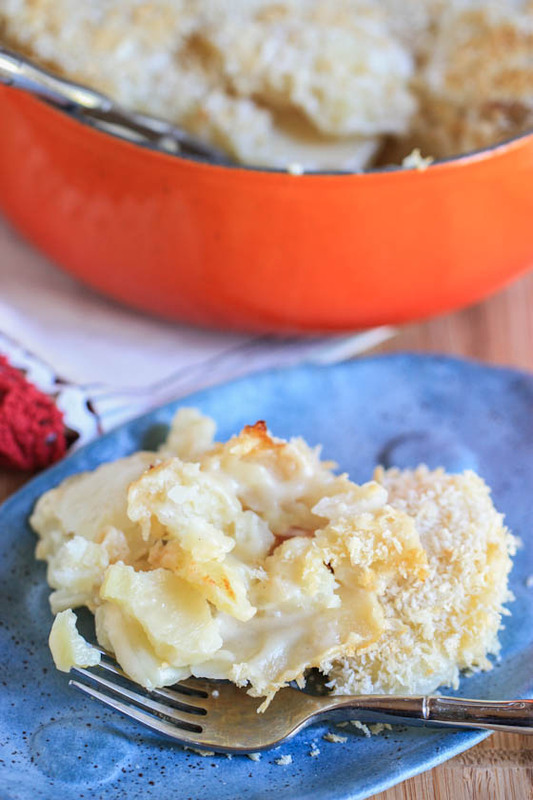 This is such a good (read: easy) recipe for it! I’ll be staying in this Valentine’s day, but I don’t think I’ll tackle the Ravioli making just yet. I think these are absolutely beautiful! I can’t wait to see what Adam has planned for you. Five courses? He’s a keeper. Especially if one of those courses is chocolate. I am not a beet person but would make these for the color alone! Such a beautiful plate! although I love the redness of the dish..i hate beets… Looks beautiful though.. I think I’ll stick to these!! There are few combinations in this world that make me swoon as much as goat cheese + beets. Needless to say, I think I would LOVE these. Thanks for sharing! Ooooh I LOVE this idea!! Beautiful pasta! I love making my own pasta, but I haven’t experimented with beets(although spinach is one of our favorites and I love the color from that too :D) These look delicious! These looks so beautiful – and delicious! My boyfriend actually surprised me with dinner reservations, etc. tomorrow, or else we’d totally make these. 🙂 Another night, for sure! I hate beets, but these are very pretty. This is the most beautiful pasta I’ve ever seen Jenna. The colour is so rich and kinda romantic. Love it! Those are amazing! Will you please make me some and mail them to me or something? You’re so creative Jenna. What a perfect Valentine’s Day (or any day) dinner! One day, I will try to make these! Gorgeousness on a plate. Seriously. Wow – I rarely get inspired to cook a meal that I see on blogs. Make sweets, yes. But not the cooking (lack of time and, well, sheer laziness). But, this I really think I must try! Don’t judge – but could I use canned beets? Also, do you intend to put out a cookbook in the future? What are your writing plans/goals after your memoir debut?! I grew up eating beets with my great-grandparents. I found myself really craving some beets the other night so I roasted some. 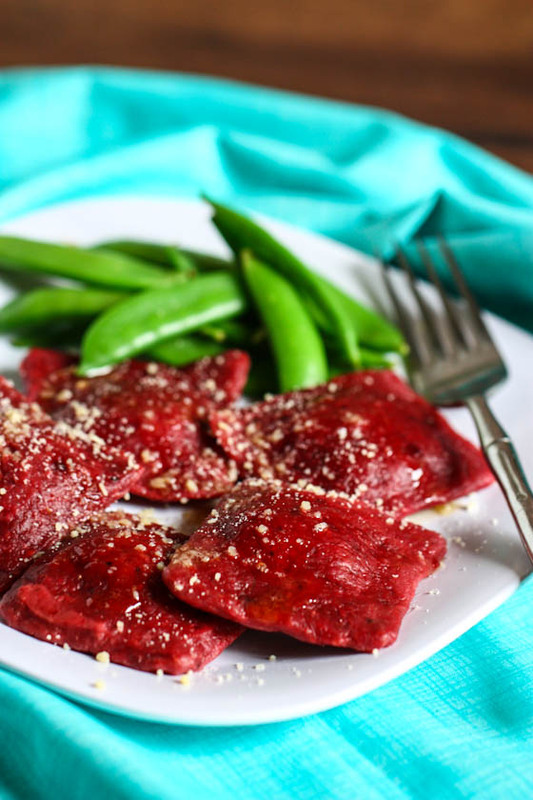 I’ve had beet chips but never beet ravioli – will definitely try this recipe! 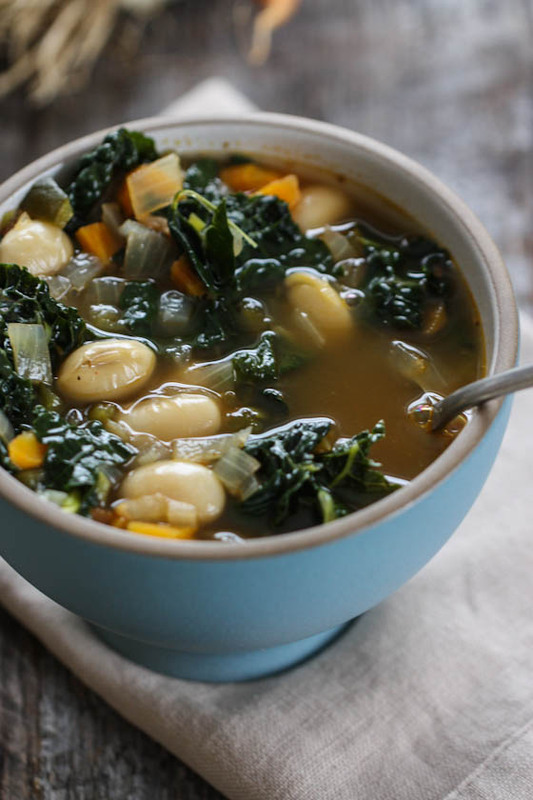 One of my favourite-looking recipes from you to date. I am adding this to my must-make list! these are just absolutely beautiful!! Sigh. These just look so perfect and delicious. Love it! We like to stay in and cook on Valentines Day too! I have some beets in the refrigerator that I wanted to do something different with them. This is it! dang you’re so inventive in the kitchen. i wish i could come up with dishes like these! I’ve never made homemade ravioli, and I don’t often eat pasta. However, these looks so gorgeous that I am now dying to make them! A perfect rainy day Sunday cooking adventure, I think! 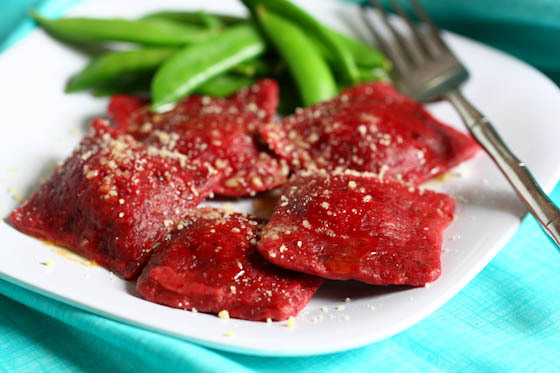 I absolutely love beets, so these are the perfect ravioli to make in my book. These are so pretty! I love the red color…I don’t have a pasta maker, but I wonder if my parents have one I can borrow….? Pasta is my Dad’s fave! We are made for each other. I need these now. These look so delicious! I love the 3-cheese filling! Making pasta still seems so intimidating, but these look amazing! I’m with ya! We ate fabulously in Chicago this weekend and are eating at home tonight. Adding beets to pasta dough is genius! Browned butter is one of my favorite sauces too, but sometimes all the beige looks boring…so I love the burst of color you get with the red dough! I’ve done this with squid ink before to make black pasta. Elegant and simple! I want to eat the colors in this post… divine, gorgeous and I can only imagine how much nutritional goodness those delicious red beets bring to our bodies. Happy Valentine’s Day! xo! Those are so gorgeous! Happy Valentine’s Day! now THIS is unique! Well done and happy V-day~!! I would have never thought to put beets in a pasta dough…it’s gorgeous! What an awesome idea to add beets to home made pasta! Love, love love the color!! And looks delicious! I cannot recall the last time I had anything with beets in it, but these just look so pretty! Want to make. I desperately need someone to teach me how to break down a chicken. I always want to buy the whole thing (it’s so much cheaper!) but cutting it all up terrifies me! I only make whole roasted chickens when I invite someone over (usually my dad) who I know can cut it up! wow- that is totally weird, that comment was supposed to be on the arroz con pollo dish. Your website just totally freaked out on me somehow! oops! So does this stain everything the dough touches? I love beets but i HATE how they stain everything!! Thanks for the wonderful recipe, I made these last night and they turned out fantastic! My husband couldn’t stop raving about how good the meal was. Beet ravioli sounds fantastic. I love, love, love beets and anything made from it! 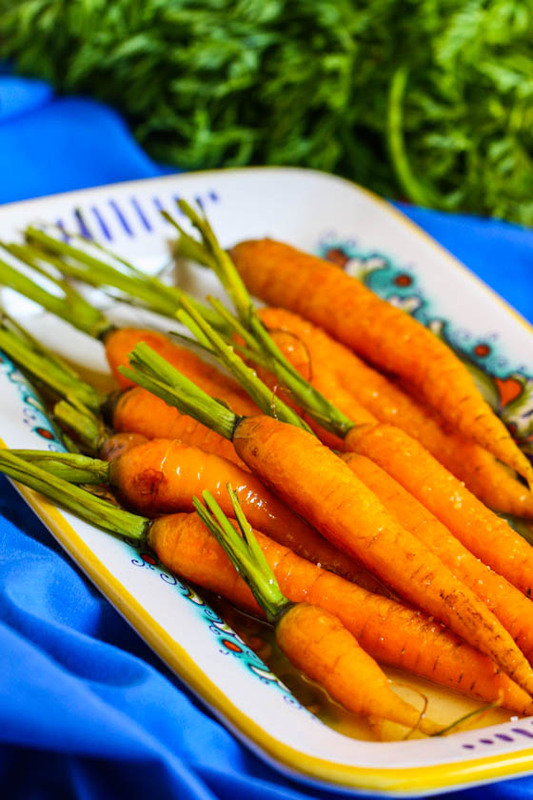 I happened upon your blog and this recipe specifically while looking for something new and exciting to do with beets and thought this looked wonderful! I made the dough and filling ahead of time to bring to a friend’s house so we could make the ravioli, but we ended up taking a spin class and running out of time so we decided to cheat by not cutting individual pastas, but rolled out the sheets, added layers of the filling alternated with sauteed onions and kale and a jarred vodka sauce and turned it into the most amazing lasagna we have ever had! Thank you so much for this recipe, I just finished eating less than an hour ago and I already want to make it again!